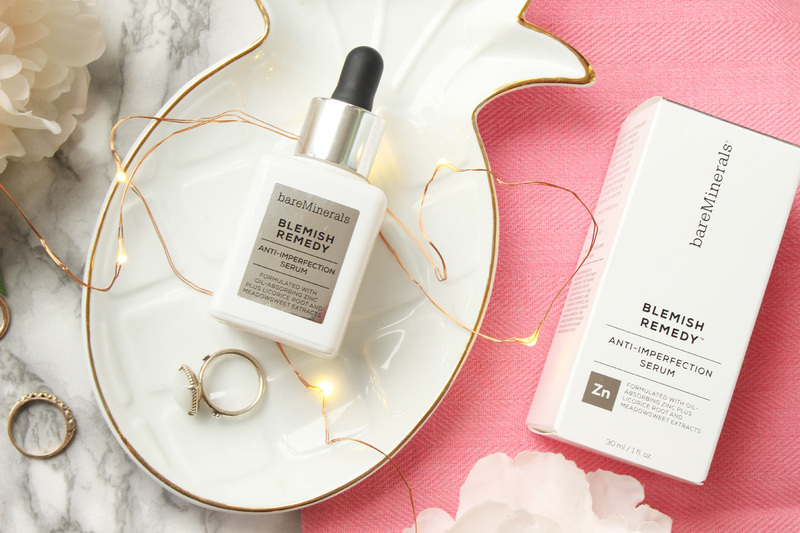 The Black Pearl Blog - UK beauty, fashion and lifestyle blog: BareMinerals Blemish Remedy Anti-Imperfection Serum review. 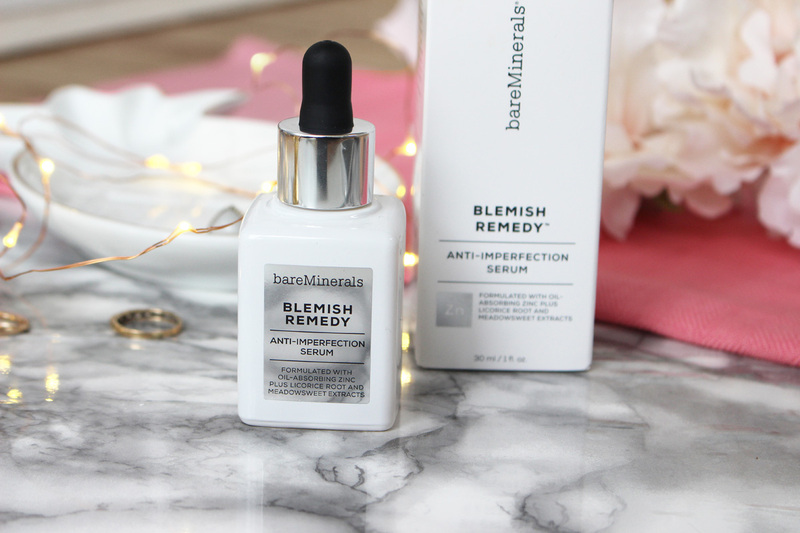 BareMinerals Blemish Remedy Anti-Imperfection Serum review. As far as I can remember, I have struggled with breakouts. From acne on my face, back and arms to sore hormonal breakouts on my jawline or tiny ones allover my face. I went through a few periods of having relatively clear skin as well, but I can't remember the last time I had a completely spot free face. Considering the fact that I just turned 30, it is pretty ridiculous! 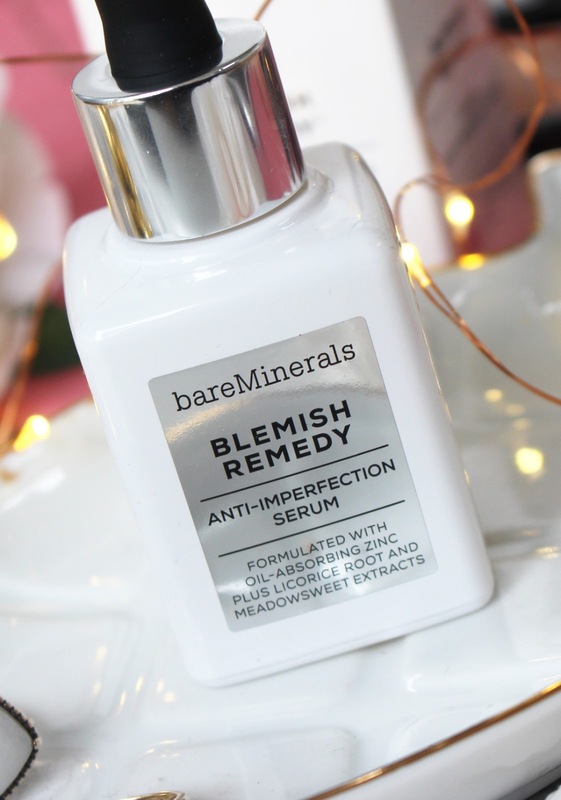 That's why I am always on the lookout for new products aimed at blemishes, like the bareMinerals® Blemish Remedy Anti Imperfection Treatment Serum*(£36.00). The serum is part of the recent bareMinerals skincare releases which come in gorgeous bottles and look very high end. The price tag isn't too bad either and you can often get it on sale. The Blemish Remedy Anti Imperfection Treatment Serum is a clinically tested, mineral-ignited formula with botanical extracts and high-performance ingredients targeted at acne prone skin. It helps to combat blemishes, calm skin, and smooth texture. Some of the active ingredients include Mineral Zinc, Salicylic Acid, Licorice Root Extract and Meadowsweet Extract and the formula is non-comedogenic and very lightweight. I have been suing it for 2 months now and I have noticed a big difference in my skin. I have less breakouts and the texture of my skin is more even. I apply this at night time, using a few drops and massaging it into the skin, focusing on my problem areas, like my t-zone and jawline. It has been a saviour during hot weather, when my skin would normally be super oily and greasy, but this serum has reduced the sebum production massively! If you suffer from a super oily t-zone, you will love it, as it's not drying and give the skin a nice texture. You can use it in the mornings as well. Overall, I am super impressed with the BareMinerals Blemish Remedy Serum, as it gave me instant and long term results. I noticed a change after just a few days, but after a good few weeks, the texture of my skin became smoother and I am noticing less and less breakouts. Available from feelunique.com, www.bareminerals.co.uk and other stockists. Have you tried BareMinerals skincare?